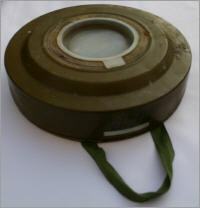 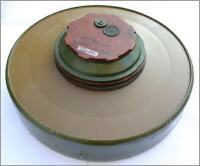 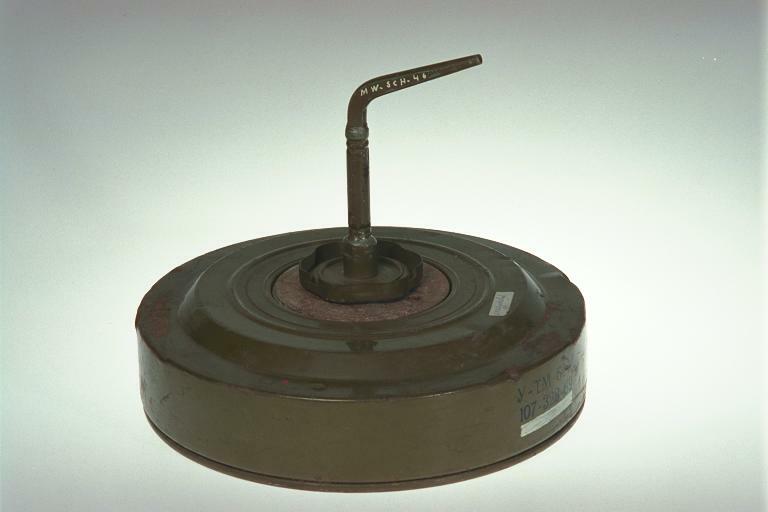 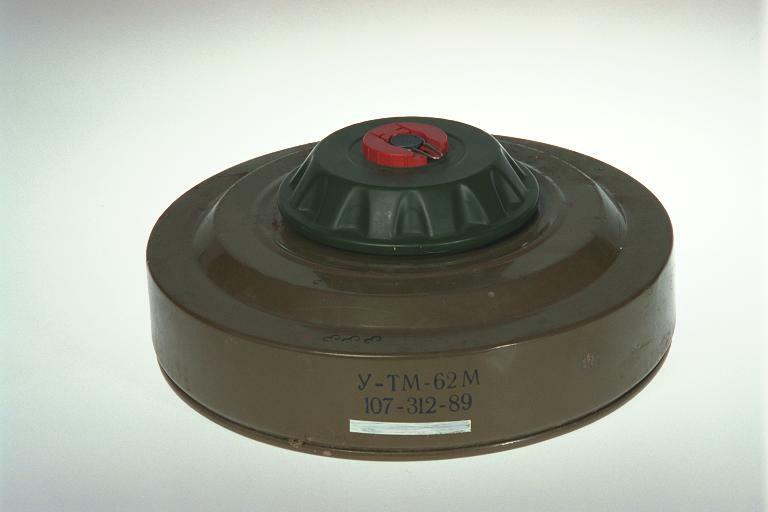 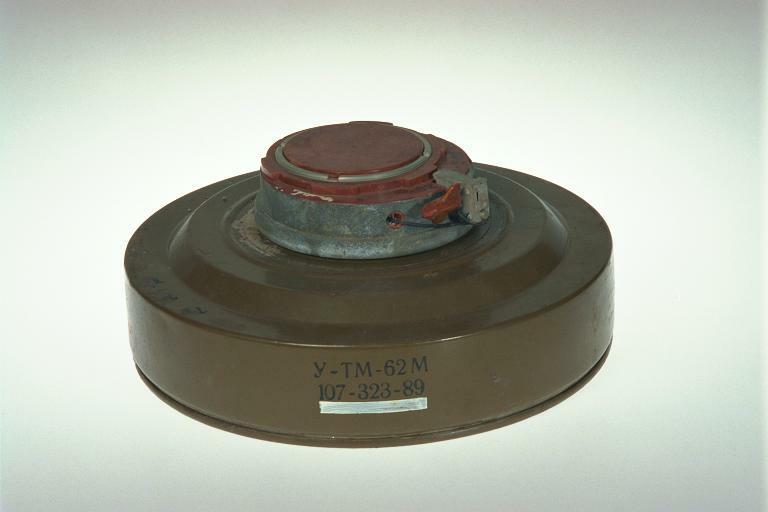 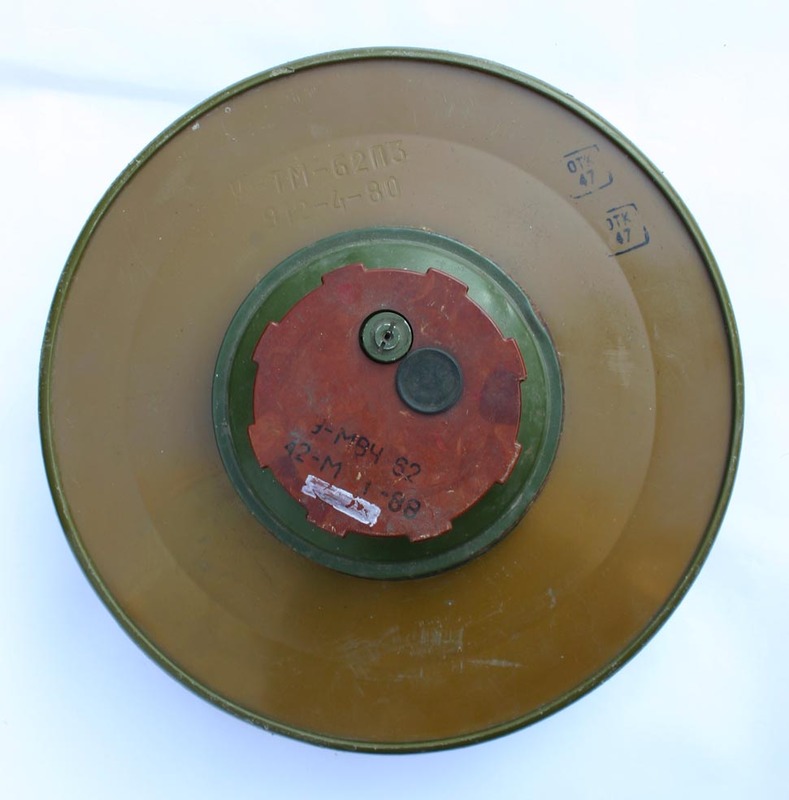 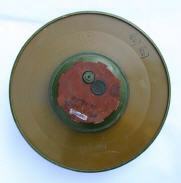 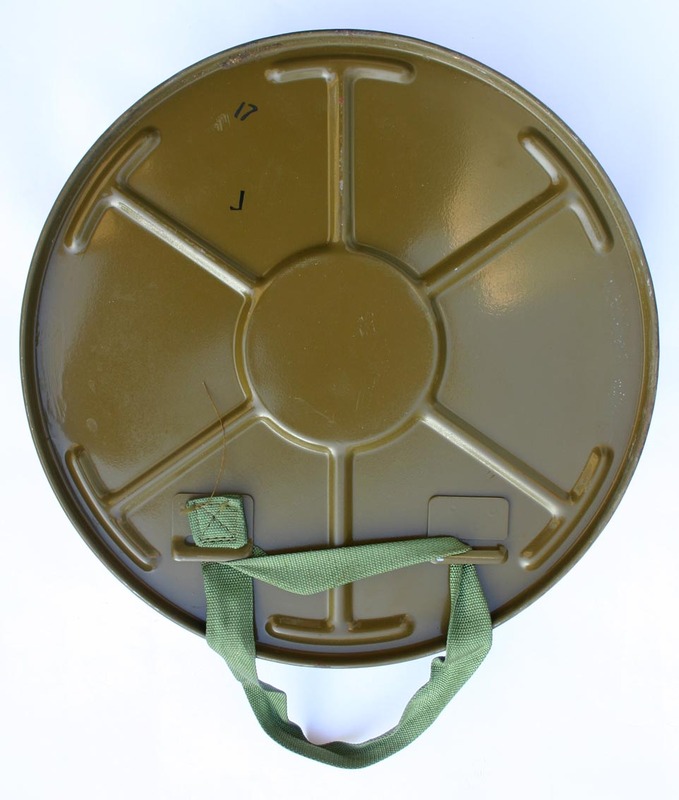 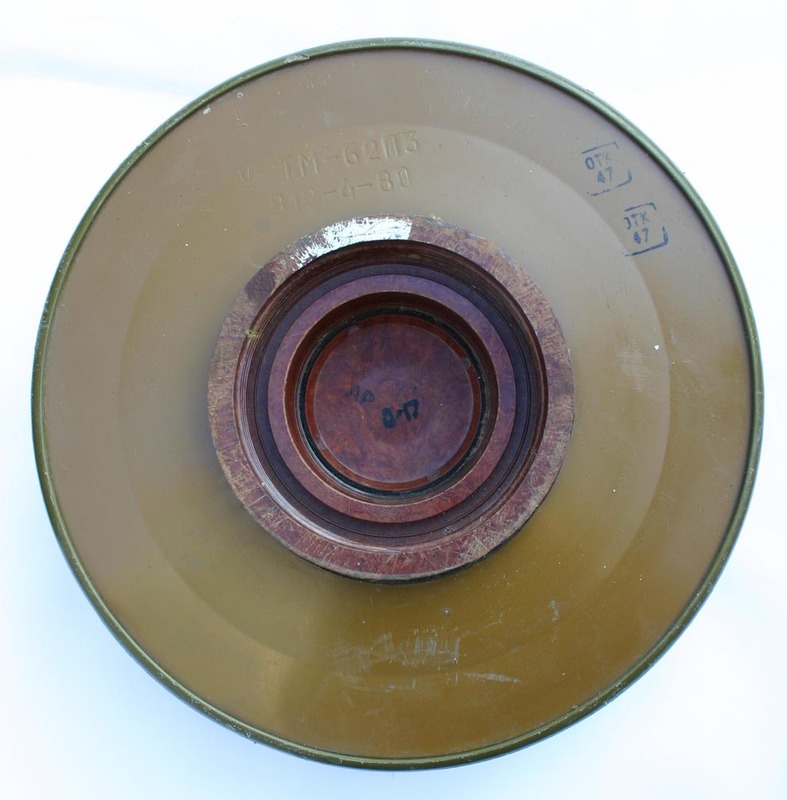 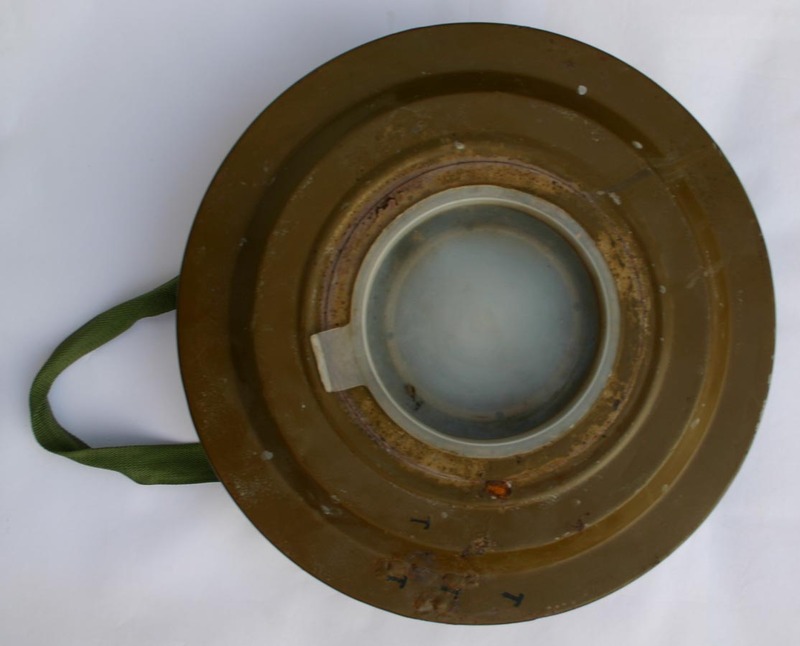 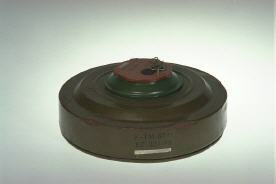 The UTM-62 M is the training version of the TM-62 M.
The white line-marking on the side also indicates that this mine is an inert trainer. 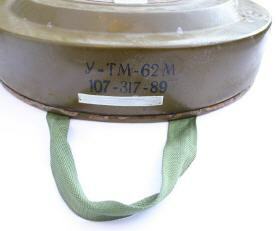 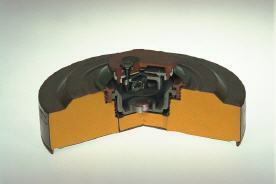 The UTM-62P3 is the practice version of the live TM-62P3, and uses the UMWCh-62 fuze in these photos. 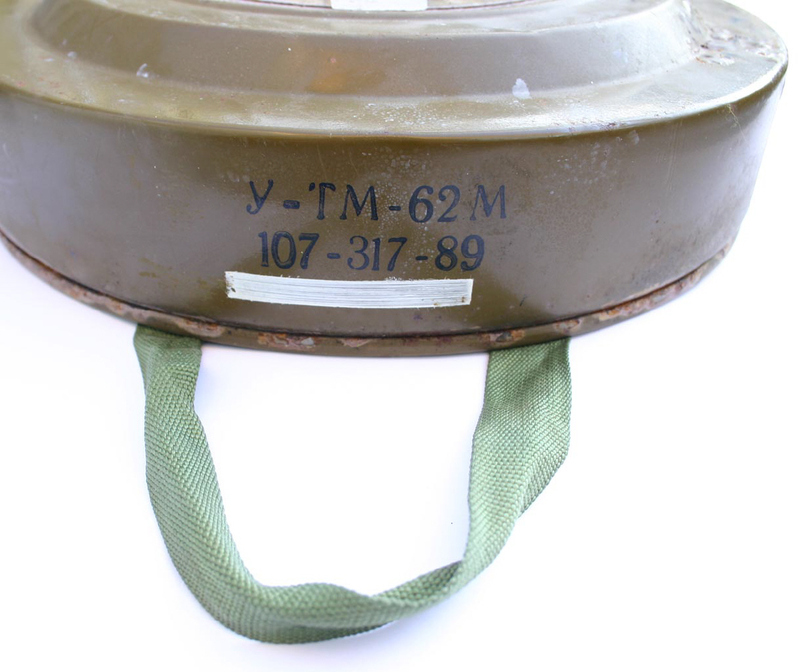 It is similar in form and size and has the cyrillic "У" (U) added to the name to indicate that it's inert trainer. 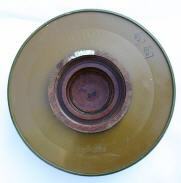 Photos below and on the right © M. Jochoms.